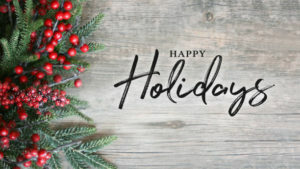 Happy Holidays – Our office will be closed. Our regular hours will resume Wednesday, December 26, 2018. We hope everyone enjoys their Holiday with friends and family.